A version of downward dog which is especially useful to those with wrist pain. 1) Begin on all fours with your knees beneath your hips and wrists beneath your shoulders. 2) Bring your elbows to the floor, keeping them lined up with your shoulders and the forearms parallel on the floor. 3) Straighten your legs as if coming into downward dog. 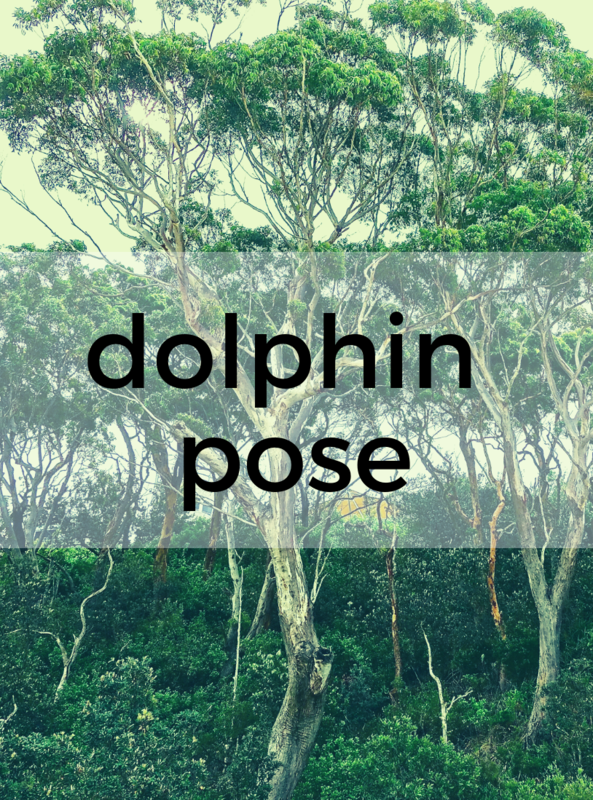 From dolphin, straighten both arms simultaneously to come in to full downward facing dog. Then bend the arms and bring both forearms simultaneously back to the mat.